As you can see, they are both very flightly animals – hah! I was waving the broom trying to get them to look alert. 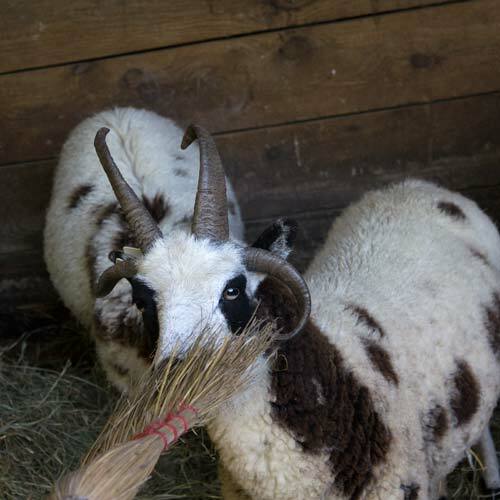 Tango continued to eat hay and Lorena came to eat the broom. The inbreeding coefficient of this cross is 0.4%. They share a common ancestor, Spahr Farm Sarah – with Sarah showing up as Tango’s great grandmother and as Lorena’s great great grandmother. A lamb from this cross will be lightly related to most of my flock. 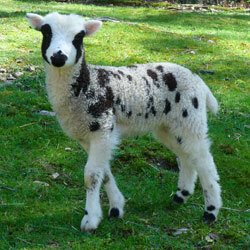 Lorena is one of my favorite ewes and Tango’s dam is another, so I’m excited about this cross. This is a cross where the dam is adding the leg flash, although that does not guarantee leg flash on the resulting lamb/s. If we could pick the traits we wanted from each parent to pass onto the lamb/s, what fun would that be . Both have a lovely refined look that I love and want to preserve. The main reason for pairing these two is fleece. Lorena has a nice soft fleece. It does not have the length, openness, and demi luster that I prefer and she is freckled (small spots of black wool mixed in with the white). I have other ewes with dense fleeces and with freckles. Both traits are acceptable to me, but are not among my favorite traits. I will usually (but not always) cross those ewes to rams with open, unfreckled fleeces. Tango’s fleece has length (from his sire, Jedd), luster (from his dam Viva) and a lovely soft handle from both. This is a repeat breeding. 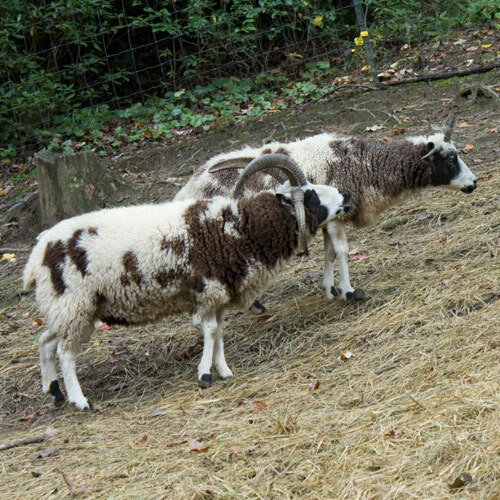 The original decision to breed Martha and Jedd in 2008 was based largely on the fact that my second ram, Belvedere, is Martha’s brother. turned out nicely – with presence, fleece, and markings. The inbreeding coefficient of this cross is also 0.4%. Martha’s fleece is long, soft (26.4 microns), and has a nice luster – very similar to Jedd’s. Martha, however, is an early grayer. The color of her fleece turned a lovely silvery gray at a young age. Jedd is from a line that holds its color a bit longer. 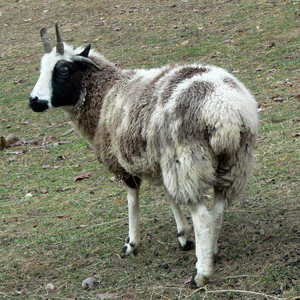 Martha has a somewhat heavy britch – the coarser, almost hair-like wool that comes up from the hock. I see this more in sheep with longer, less crimpy wool, but don’t know if that’s a trend nationwide or just in my flock. Nothing goes to waste here! I use britch wool to weave rugs. Jedd has less britch. 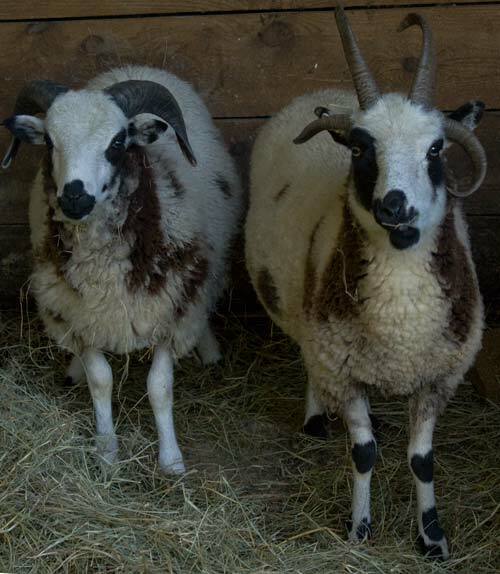 Martha is sired by a Yakob-tson ram and out of Craft’s Ruby’s Belle – who is sired by a Hardy Hill ram and out of a Puddleduck ewe – all original JSBA lines going back for over 20 years. 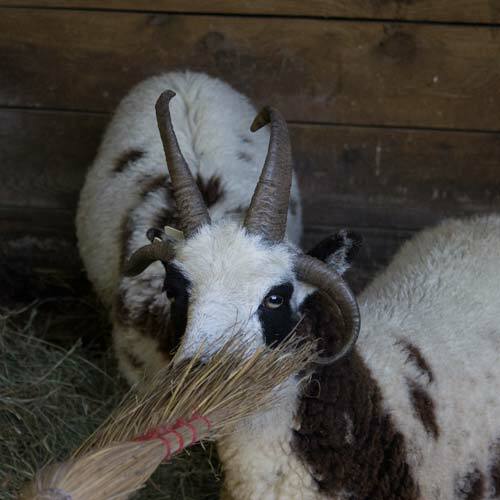 She is a primitive, slightly built, very feminine ewe. This line tends to be smaller than some other lines. Jedd is pretty straight Maverick/Rockies. 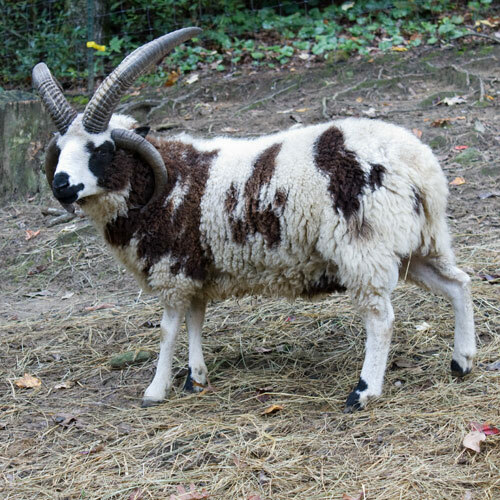 He’s a heavier built sheep than Martha, but still within the definition of a primitive American Jacob. They balance each other nicely. I really enjoy these posts. Jedd is a very handsome boy.